Consumers can get their fill of strawberries and asparagus this Mother’s Day — but they may have to pay dearly for one of them. Asparagus will be available, but it won’t be cheap! 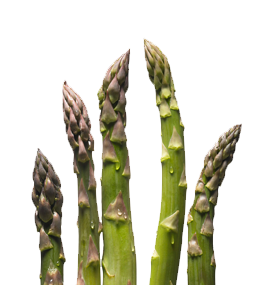 Asparagus is a natural fit for Mother’s Day because most households know there’s good quality available. Unfortunately, with the acreage drops in California, I don’t think there will be real opportunities for promotions. For Mother’s Day, product will be available from California and Baja California and likely also from Washington. And while production of high-quality asparagus from California will be in full swing for the holiday, there still won’t be enough, given the big acreage declines in recent years. Mother’s Day will be an extreme demand-exceeds-(supply) situation, with very high prices. It will certainly be featured, but it will be expensive. Because of the low supplies, many retailers will choose to promote asparagus in 11-pound packs instead of the typical 28-pound packs. It helps them spread the volume a little further. Whatever the price, foodservice demand for asparagus should be as strong as it always is for Mother’s Day. There will still be a large spike, regardless of prices. Restaurants are going to have their asparagus for Mother’s Day. Sales always really jump. Unlike asparagus, California strawberries will be abundant for Mother’s Day. California production came on very early this season, which led to depressed markets out of the gate tutuapp. There will still be more than enough product to promote for the holiday, but prices should be higher. The week leading up to Mother’s Day is the busiest one of the year on which to dine out. Overall, about a quarter of Americans dine out on Mother’s Day, and another 1 in 10 order takeout or delivery for their special Mother’s Day meal.